Calamigos Ranch is a wedding venue in Malibu, CA that has many locations for wedding ceremonies and receptions. The Pavilion at North Point is probably our favorite wedding ceremony location at Calamigos because of its unique, elevated setup, underneath a breathtaking, large oak tree. 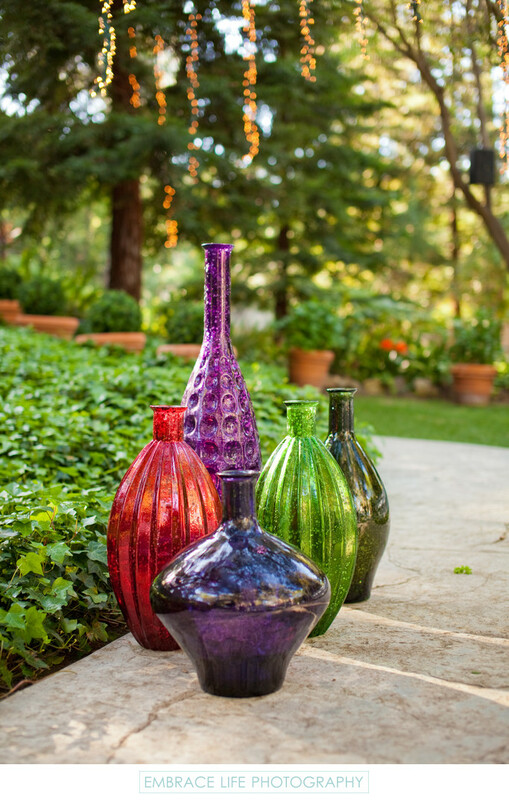 These colorful glass vases were staged between guests, seated on the lawn below, and the bride and groom under their chuppah just above. Keywords: Ceremony (333), Details (1125), Wedding (1437).